Halloween must have been on my mind, when I was painting this. 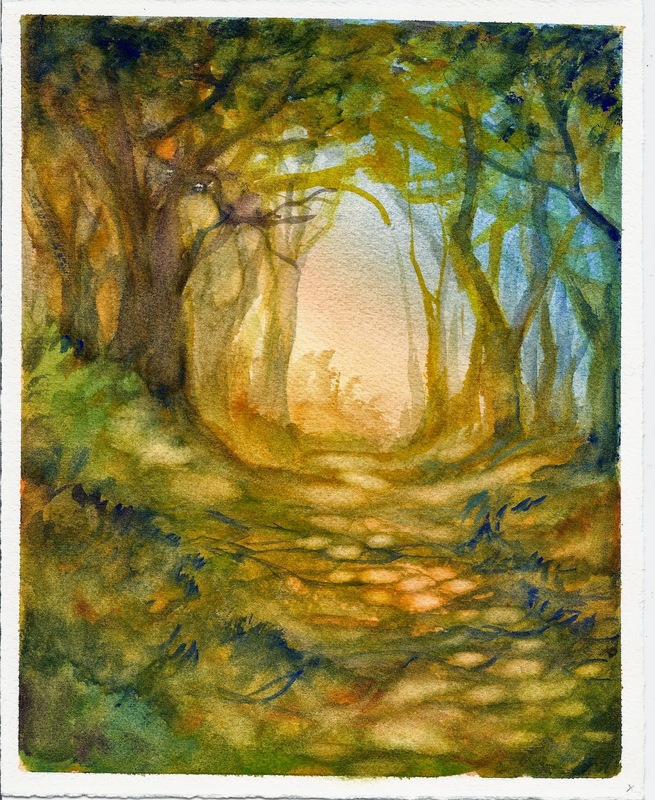 I was playing with a set of Golden’s new watercolors–the introductory set with Indian Yellow, Cerulean Blue Chromium, Ultramarine Blue, Pyrrole Red Light, Permanent Alizarin Crimson, and Burnt Sienna (Natural). Do you see the owl?